Home Depot is one of the places that Americans often goes to when they need home items often homeowners need for their DIY projects. With so many people often getting their hands on various DIY projects and given its nature, one of the most used return policies existing is the Home Depot Return Policy. Besides Home Depot, Lowe’s is another popular shop where DIYers get what they need. Every shop surely aims to provide customers with superior customer satisfaction. In that case, an excellent returns and refund policy is one of the things to focus. The same thing, with the nature of DIY, it is vital that every homeowner and DIYer is familiar with both Home Depot and Lowe’s Return policy. Home Depot’s return policy offers you 90 days to return the item you bought if you are unsatisfied for some reason. There are exceptions to the 90-day rule, which are area rugs, furniture, generators, mattresses, consumer electronics and gas-powered tractors and stuff. These items are only given 30 days window for return. If you still have the original packing and the receipt, you can still return the items as long as it is within the 90-day rule. For the used items, they can be returned but based on the wear and tear so typically has to be handled on case-to-case basis. If you lost your receipt, don’t worry. You may still be able to return, exchange or refund your item if your order can still be found on their system. This usually applies if you use debit card or credit card when you made the purchase. If in case you paid with cash, you might still be able to return it for store credit. When making a return, make sure to show a valid ID, as Home Depot needs it for tracking your return history. Know that if you make too much return without receipt, your account will likely be flagged for up to 90 days. With Lowe’s Return Policy, you can usually retrieve your receipt using your original credit card, with your MyLowe’s card, your checking account number or your own phone number. If you are returning an item with a valid receipt, an in-store credit is usually issued for current selling price of the item. If you present the original receipt of the item, stolen or lost gift card can also be replaced. When returning an item with valid receipts, Lowe’s has the right to limit or refuse the permitted returns of appliances, paints, tools and other items. If you have outstanding checks, Lowe’s will not allow you to make a return for purchase you made using checks. In returning an item, Lowe’s will likely require a valid ID for the refund and check verification systems they use. 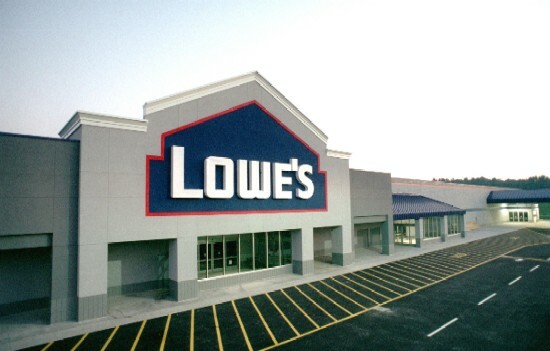 All returns to Lowe’s are subject to approval of their systems, which means that if their check verification and refund system verifies and approve your return, then you can make the return as according to their Return Policy.